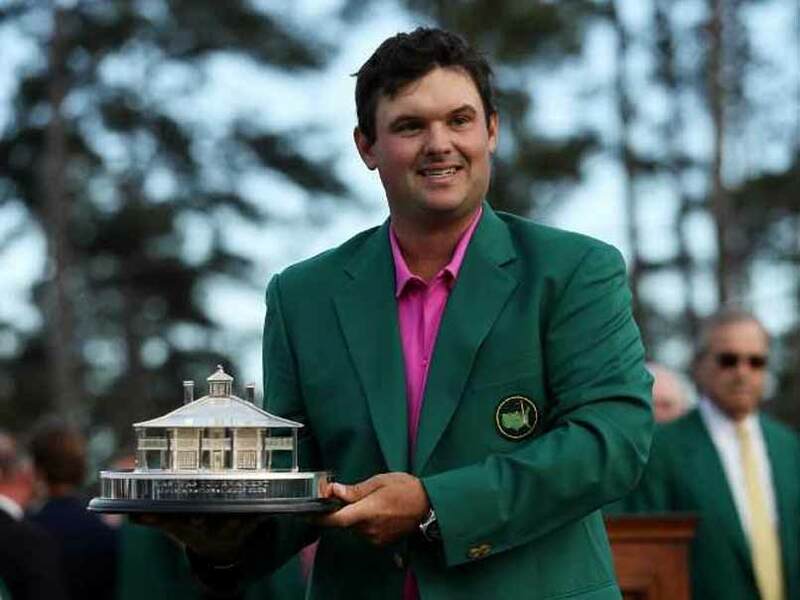 Fending off epic challenges from three top rivals in a dramatic Masters final round, Patrick Reed captured his first major title Sunday, grinding out a one-shot victory at Augusta National. 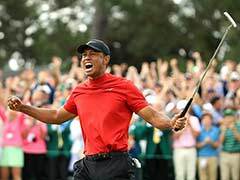 The 27-year-old US Ryder Cup firebrand showed the same grit he displays in match-play battles, dispatching Jordan Spieth, Rickie Fowler and Rory McIlroy in an emotional battle that had spectators roaring. "Today was probably the hardest mentally a round of golf can possibly be," Reed said. "I knew it was going to be a dogfight." Reed, whose breakthrough came in his 17th major start, fired a 1-under par 71 to finish 72 holes on 15-under 273, one stroke ahead of Fowler with Spieth third on 275 and Spain's Jon Rahm fourth on 276. 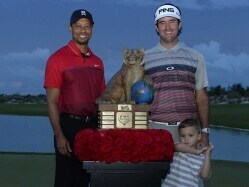 "Having to shoot under par in the final round to win my first major, it was awesome," Reed said. "It was really satisfying." In addition to the iconic winner's green jacket, Reed pocketed USD 1.98 million from an USD 11 million purse. Reigning British Open champion Spieth, the 2015 Masters champion and twice a runner-up, matched the low final-round in Augusta National history with a 64, a closing bogey thwarting his bid for the biggest comeback to win in Masters history. "I started nine back," Spieth said. "I wanted to shoot a low round and see if something crazy happens." Fowler, still seeking his first major win, birdied six of the last 11 holes. He sank a 7-foot birdie putt on 18 to pull within one and keep Reed under pressure to the 72nd hole. "We gave our all out there and made P-Reed earn it," Fowler said. "I was happy to make that last putt." Needing a two-putt par from 25 feet at 18 to win, Reed gently tapped the first putt and saw it race four feet past the cup. He sank the comeback effort and pumped his fist in celebration. "To have to two-putt the last hole to win my first major, it definitely felt right," Reed said. "I was glad to end the drought." Reed's last-pair partner McIlroy kept near on the front nine, chasing his dream of a Masters win to complete a career Grand Slam, but managed only one birdie in the last 14 holes. "I just didn't quite have it," the Northern Ireland star said. "When I did have opportunities I didn't take advantage of them. "Tough day. But I'll be back." US President Donald Trump congratulated Reed, who won a 2014 WGC event at Trump-owned Doral, although Trump mistakenly cited it as in 2013. "Congratulations to Patrick Reed on his great and courageous MASTERS win!" Trump tweeted. "When Patrick had his amazing win at Doral 5 years ago, people saw his great talent, and a bright future ahead. 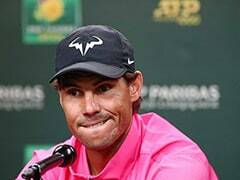 Now he is the Masters Champion!" Reed, who had never cracked 70 in 12 Masters rounds before this week, became the fourth straight first-time Masters winner and the ninth first-time winner in the past 10 majors. Reed's approach at the par-5 13th clung to a bank above Rae's Creek, his title bid nestled with it, but he escaped with par to stay deadlocked with Spieth for the lead at 14-under. Reed sank an eight-foot birdie putt at the par-4 14th to regain a one-stroke lead and parred to the clubhouse to win. Spieth clipped a tree branch off the 18th tee and needed three to reach the green, where he missed an 8-foot par putt that would have seen him match the 18-hole course record. Spieth was only the seventh player to shoot 64 in the last round, the first since Bo Van Pelt in 2012. American Charley Hoffman aced the par-3 16th with a 6-iron, the 20th time the hole has surrendered a hole-in-one, while compatriot Tony Finau birdied six consecutive holes from the 12th to 17th. Dustin Johnson fired a 69 to share 10th on 281 and retain his world number one ranking. Spieth, Rahm or Justin Thomas could have overtaken him by winning. Tiger Woods, playing his first major event since 2015 in a comeback from nagging back pain and spinal fusion surgery, fired a 69, his week's low round. "It was possibly the highest score I could have shot today," Woods said. "All in all it was a bittersweet ending." "I really missed it," Woods said. "I made too many mistakes. But overall it was a lot of fun. It felt great to be able to compete again."